Yahoo! is committed to the success of account 1074018628 and we believe there is an opportunity to provide you with improved performance. There’s saying you value your customers, and there’s your behavior. You can use your customer mailing list to barrage me with up-selling “opportunities,” or you can send me interesting articles. You can put your customer service number on every page on your website, or you can provide only a web form. You can have a recorded message saying my call is important to you, or you can have someone else pick up the phone. You can answer the phone with the least knowledgeable, lowest-paid employee you can find, or you can empower service reps to give refunds, bend the rules for extenuating circumstances, and escalate special situations to someone who has the power to address them properly. 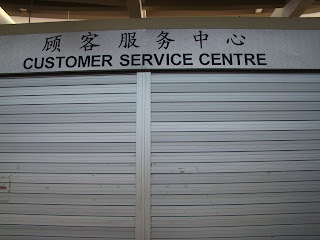 Is “customer service” a service for customers or a shield against them?